So last week I got my first request to help promote a Kickstarter campaign with this weekly blog series (by the way, if anyone reading this has a Kickstarter, Indiegogo, or Patreon campaign up and running feel free to send it to my Twitter @mblair112 and I’ll take a look) and I was impressed with this title so I decided to give them some well deserved attention. Welcome to Legacy Code. 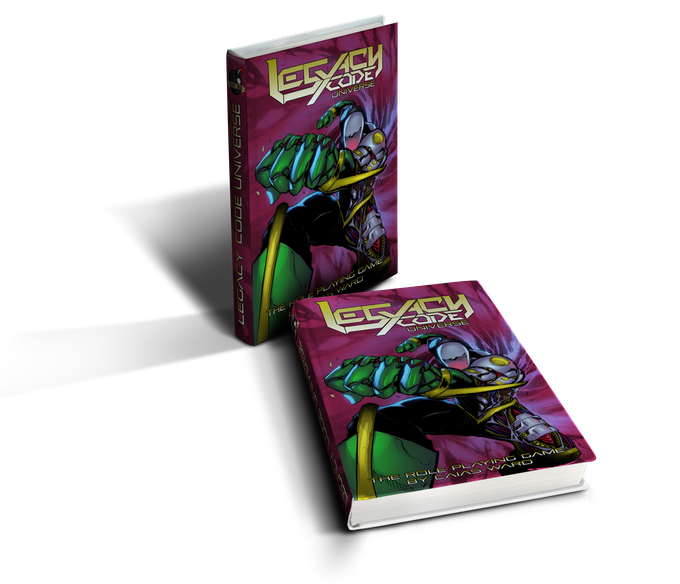 Legacy Code is a Kickstarter campaign to build a one shot comic, animated movie, computer game, and table top RPG. 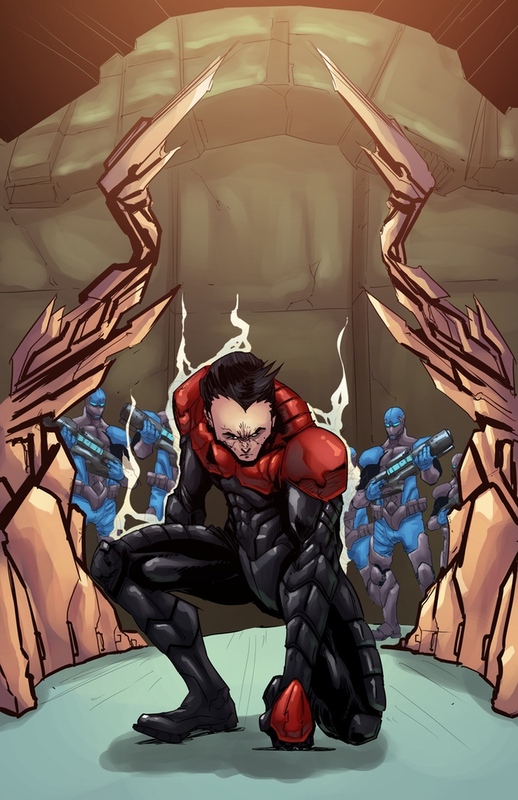 The project is run by a company called Short Fuse Media, a relatively small comic book publisher that has this neat service where they can take a character of your creation and turn it into everything from a short comic to an action figure. 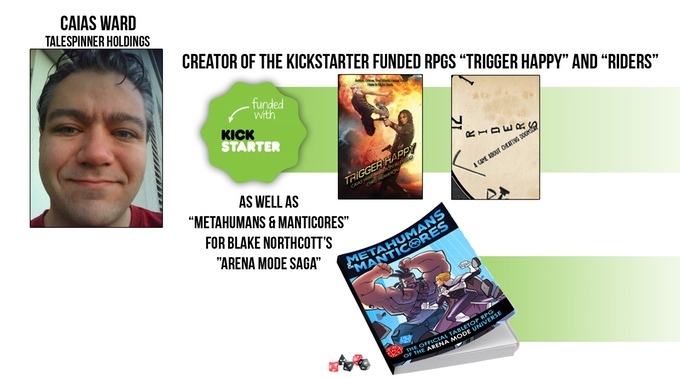 This Kickstarter campaign itself is Short Fuse’s shot at building a fully realized, self contained, massive multi media universe set in a sci fi dystopia which is like, according to their own words, “imagine ‘The Terminator’ mixed with ‘X-Men, ‘The Matrix’ and ‘All You Need Is Kill (Edge of Tomorrow)’ and you would have ‘Legacy Code'”. You’ll notice a couple of things about the paragraph above. First, there isn’t much in the way of plot. The Kickstarter video simply describes the concept in very broad terms. they can pull it off. Also, while describing a story or set of characters in broad strokes doesn’t help potential backer understand the world you’re trying to create, it is sometimes necessary when you’re trying to build something on this scale. Another thing I like about the project is the sheer amount of talent attached to it. One of the biggest risks in giving your hard earned money to a stranger is that the stranger will simply turn around, take your money, and leave you high and dry with nothing to show for it. 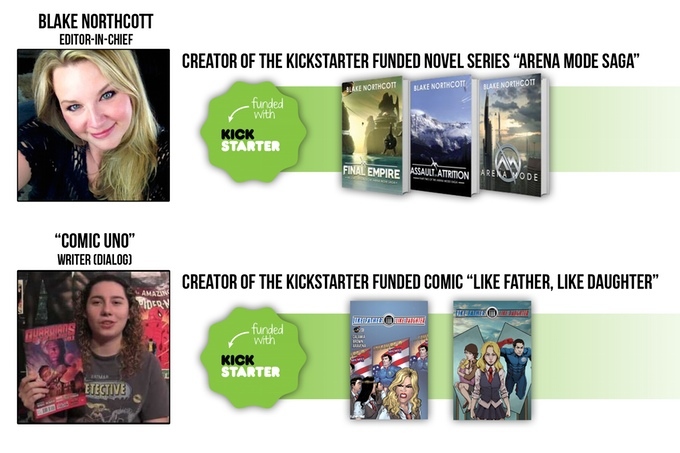 However, I don’t think that will happen here as almost everyone attached to this story has also led successful Kickstarter campaigns themselves. These guys mean business and I get the feeling that whatever they create will not only epic and awesome, but be a fun and productive exercise in translating an idea into a world that doesn’t just come alive in a comic but in a movie and game as well. These kinds of projects are going to be the future. Not long from now we’re going to see everyone trying to turn their stories and characters into ideas that won’t just be comfortable in one particular medium, but will reach out and grab our attention in all sorts of new and interesting ways. So if you want to be on the cutting edge of entertainment and make sure the future is run by dedicated and creative companies with good ideas and wonderful storytellers, donate today. This entry was posted in Blog and tagged bad movies, comics, crowdfunding, Kickstarter, Legacy Code, RPG, trans media, video games. Bookmark the permalink.